Read about this update on the Appery.io blog. 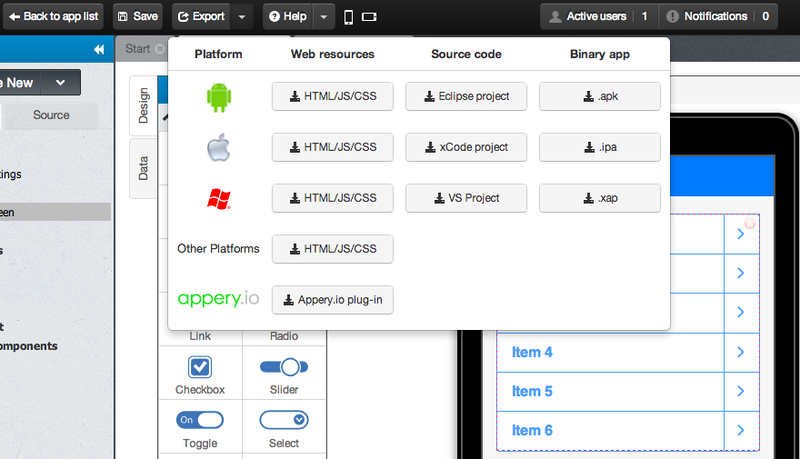 What’s New in Appery.io Platform? Our March Appery.io platform update has a number of really nice new features and benefits. Learn more what’s new in this blog post. And also don’t forget to check out YouTube channel for new videos. Push Notifications has been upgraded to allow you to send custom Push Notifications messages. For example, you can add custom sound, custom icon and an a custom action when when a Push Notification message is received. Learn more. A long requested feature, it is now possible to copy-paste UI components inside the visual App Builder between pages and even different apps. Learn more. The new Ionic and Bootstrap version libraries are better, more stable and have numerous bug fixes to make it even simpler and faster to build enterprise mobile apps. Learn more. Mailgun is email for developers. 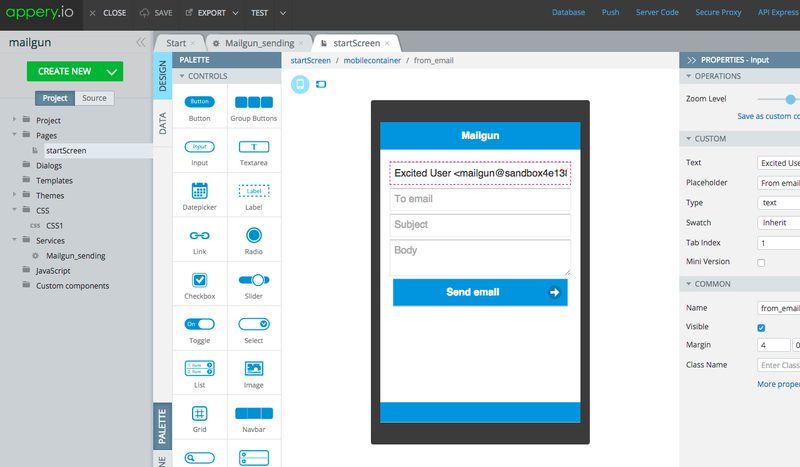 Mailgun has elegant REST API to send and receive emails from your mobile app. I know that many Appery.io developers send emails from their apps for registration, confirmation, and everything else. To make it simple to use the Mailgun API in an Appery.io, we have introduced a Mailgun plugin in Appery.io. The plugin has a sample app with one page that shows how to send an email using the API. You can use the sample app as a starting point or add the plugin to any existing app. Let me show you how to configure and use the plugin. 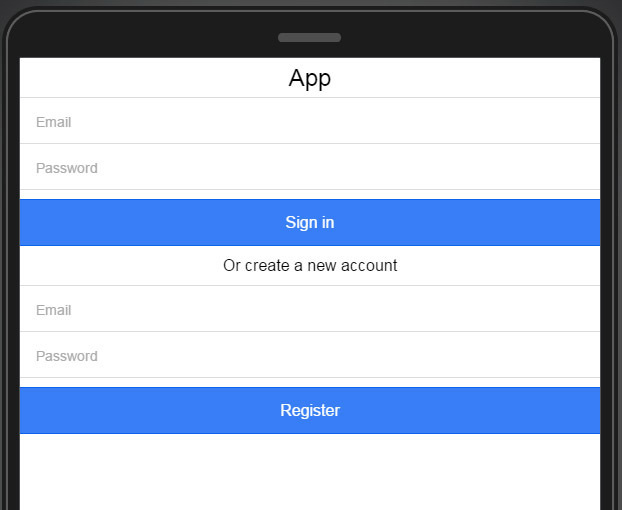 User login/registration is one of the most common features in a mobile app. With Appery.io Database’s built-in user management feature, adding a login and registration capability to an app is very fast and simple. We know that developers love examples and so we created a ready-to-run app available in the App Builder that shows how to do that. In fact, we created two examples: one example uses Bootstrap and another example uses Ionic, both based on AngularJS. DZone is collecting input for its 2015 Guide to Mobile Development and would like your feedback. Your survey answers will provide valuable insights for you and other members of the tech community, and it will help decision makers understand the preferences and challenges around modern mobile software development. By completing this survey, not only will you receive the report when it is released, but you will also be entered to win an iPad Air, Samsung Galaxy Tab, or Microsoft Surface! Doing more of these surveys will increase your chances of winning too! Are you developing with responsive design in mind? Responsive mobile apps are the new standard, but building them without understanding the proper tools can be daunting. To ensure you are up to the challenge, take a look at the following tools. Especially when used in conjunction with the new Appery.io Visual Builder, these tools can help you create some fantastically responsive mobile apps. Twitter’s Bootstrap is the reigning king of responsive UI frameworks – you can easily go from desktop to tablet to smartphone, since Bootstrap adapts to the change in platforms and their screen sizes quickly and efficiently. 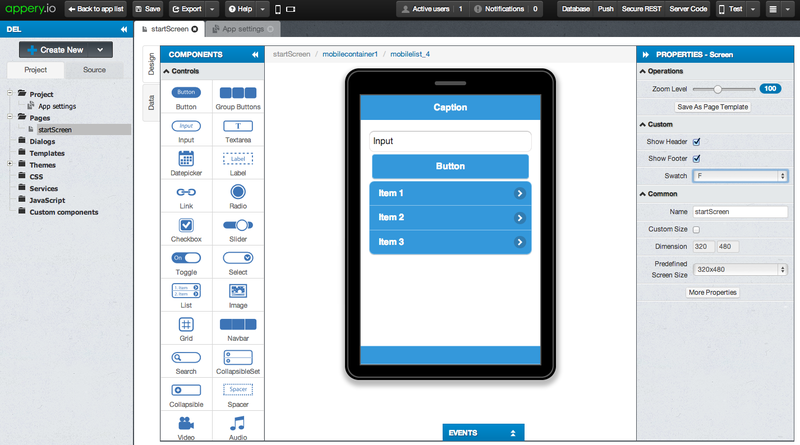 Check out new 12-video online training course on creating HTML5 and hybrid mobile apps in Appery.io. More videos are being recorded and added to this list. Click PLAYLIST in upper left corner to see all videos. As you can see, it’s a pretty standard technology stack when you build an app in Appery.io.